Ideal for any occasion or just because. Gorgeous in every way, a clear expression of your love and affection through Ferrero Chocolates and Red Roses. Our bright, lush red roses are embraced in a cloud of white gypso along with Golden treats that imprints a memory of soulful beauty. 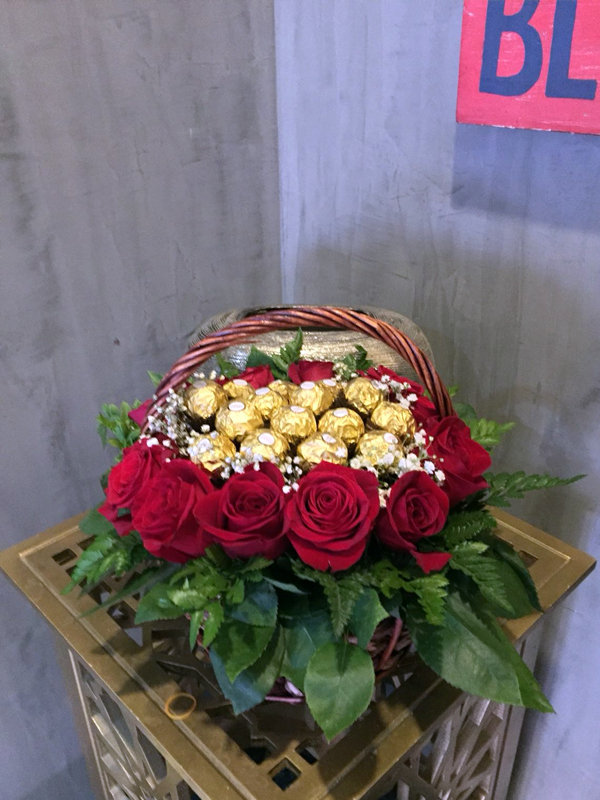 Our hand-tied bouquet includes 12 stems of Red Roses, 16 Ferrero’s hand designed in a cane basket.